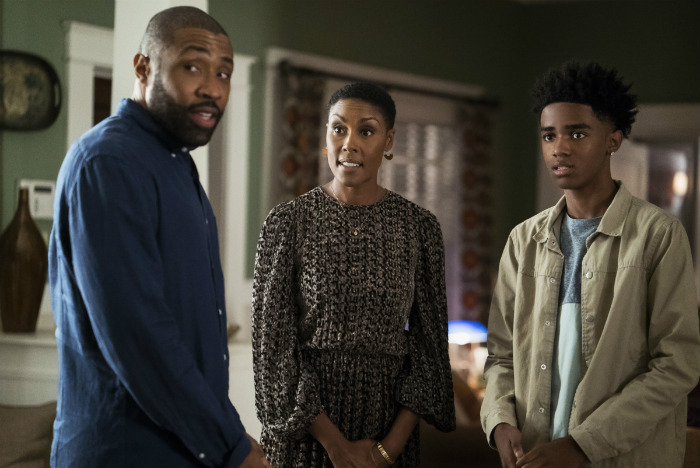 Black Lightning 2×02, “Black Jesus Blues,” deals with the continued fallout of Jefferson’s resignation while also setting up the rest of the season. It almost feels like the titles of this episode and the last one should’ve been switched, because “Black Jesus Blues” seems a more apt title to describe what went on in Black Lightning’s season premiere, while “Rise of the Green Light Babies” is basically what this episode was all about. After a stellar and thematically cohesive season opener, this episode is a little more disjointed and feels like it functions mostly as a table setting episode for the rest of the season. That isn’t a knock on the episode, really, because Black Lightning has shown itself to be very good at setting up season-long storylines that pay off throughout the season. And honestly, the show is so fantastic that even a less than stellar episode of it is still so damn good and more than worth your time. Let’s go ahead and dive into this week’s episode, which gave us a more personal look at life as a green light baby while also continuing to break our hearts over Jefferson’s resignation as Garfield’s principal. If last episode was about the rise of the green light babies, then this one was all about their fall. The episode begins with two of the pod babies waking up, one of whom is immediately overwhelmed by his powers and dies, the second who manages to escape. What connects both these pod children is the way they are able to inflict a high level of damage and chaos before they go beyond the grasp of the scientists and the ASA. In a similar situation is Issa Williams, who didn’t so much reawaken as he did reanimate. The ASA brings him in and Lynn invites him into the Pierce-Stewart home after it’s clear that his own family either doesn’t know what to do with him or doesn’t want him. And just like the pod babies before him, he likewise is able to inflict a high level of damage at what should be a fun and easy family dinner when his powers of compelling others to tell the truth figuratively explode all over the dinner table. All three of these meta humans provide credence to Jenn’s fears of her own powers, and it’s easy to see how devastating having superpowers can be. However, they also serve to show just how fortunate Jenn is in comparison to other metahumans. Wendy – the pod baby who’s shown to basically be an airbender – is thirty years away from everything she knows. She has no family, no support, no sense of time and place. The same goes for Issa, both whose circumstances of return and nature of his powers make it difficult for those around him. Yet Jenn has a loving, stable and supportive family, a group of people who are not only unafraid of what she can do, but who are expressly able to help her through it. She also doesn’t have to worry about imminent death the way the pod children and green light babies do, whose cells will end up self-destructing unless Lynn can find a cure. Which is why at the episode’s end, Wendy decides to go back into a pod, while Issa decides to make his own way in the world. For both, the road ahead is going to be difficult, frightening and incredibly lonely. For Jenn, she’ll absolutely share in those first two things, but I hope as the season goes on, she’ll come to see that her road doesn’t necessarily have to include the third. Finally, I hope we see more of Issa in the future. I liked his moment of bonding with Jenn, and the way that she was very easily help him control his powers. They had a genuine connection that I hope the show capitalizes on for the future. I’ve said it before, but I absolutely love the way that Black Lightning highlights the importance and utility of individuals who don’t have superpowers. Black Lightning and Thunder wouldn’t be half as effective if they didn’t have Gambi around, and the Pierce-Stewart family wouldn’t be a quarter as stable or strong with Lynn around. We also see how important she is in terms of her professional life and how vital she will be with this new rise of metahumans. Whereas last episode she was in danger of permanently losing ties to the pod children, in this episode she is now the head of the team of scientists studying them. Yet while I know that Lynn’s desire to be around the children comes from a genuine place of wanting to help them, she’s working with an incredibly shady – one might even say monstrous – agency in order to do so. Because even if the events of the previous season were the result of a rogue operation, the truth is still that the ASA is an organization that authorized the use of experimentation on an unsuspecting Black community. In her quest to find a cure and help these unstable metahumans, she’s being forced to align herself with and follow the orders of a government agency that has time and again shown itself to be corrupt and manipulative, with a callous lack of empathy and compassion, and who sees people as tools for its own ends. What lines will she have to toe, and which will she have to cross, in order to continue working with this agency? And will she be able to pull herself back before she does something destructive she can’t take back or excuse away with her genuine desire to help? A separate storyline from all this metahuman madness – and one that I really enjoy even though it hurts my heart – is the storyline of Jefferson having to deal with the clash and fallout of his dual identity. 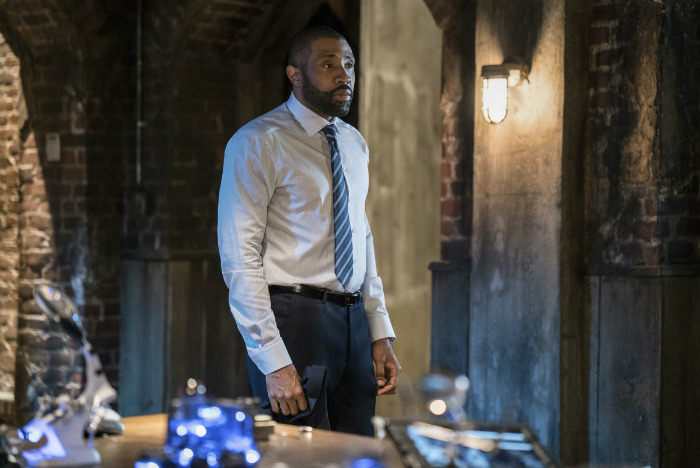 Over the course of Black Lightning’s first season, we saw how important both Principal Pierce and Black Lightning were to the community of Freeland and how much time, energy and commitment both roles took from Jefferson. So it only makes sense that he would be unable to continue being both. His decision to step down as principal in the last episode was obviously one of the hardest that he had to make, and his realization that the school board was hiring a white replacement in his place was an additional twist of the knife. And while Jefferson’s relationship with Napier is at times tense, it’s never outright one of antagonism. 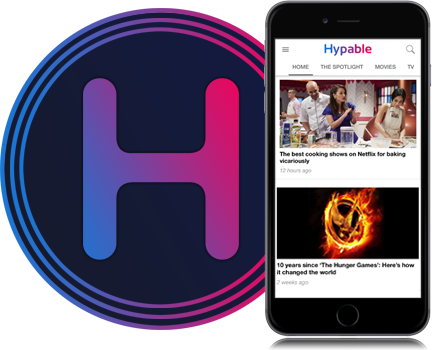 Their continued discussions about power, race and education highlight just how good this show is at blending real world issues into its fictional storylines. Also, that final scene? Brought tears to my eyes. I love the way this show is able to blend its superhero dramatics and big fight scenes with these very real, genuine moments of emotion – how it reminds us that these heroes are not just larger than life do-gooders, but people who are trying just trying to be good. “I haven’t gotten period cramps since my powers came in.” GIRL WHAT. That is the best benefit I’ve ever heard for having superpowers. Even Jenn could admit it. Anissa and Jenn speculating about their parents was one of my favorite moments in this episode. This show really nails the dynamics between sisters. Has Gambi always had that room in the back with Thunder and Black Lightning’s costumes? Because that is a badass room (and I loved the slow-mo, badass walk that Jefferson and Anissa took to get there). Anissa having the time to go to med school, be Thunder, teach at Garfield, moonlight as Robin Hood and pick up hot, wealthy women? Your faves could never. Jenn pushing Khalil over the edge of her roof? She’s a true icon. How are we feeling about Khalil? Do we think he’s genuine about Jenn? I DON’T KNOW WHAT TO THINK. For what it’s worth, I totally disagree with Jefferson’s disdain of the idea — I would absolutely be into a Thunder Twitter and Instagram. That said — I’m really worried about Anissa. She’s starting to believe her invulnerability is permanent rather than a temporary state of being, and I can’t help but feel like the million and one things she’s got going on are all going to come crashing down very hard on her. Where has Fowdy gotten to? Did Gambi successfully help her exit? Is Garfield going to lose both its principal and vice principal in one fell swoop? 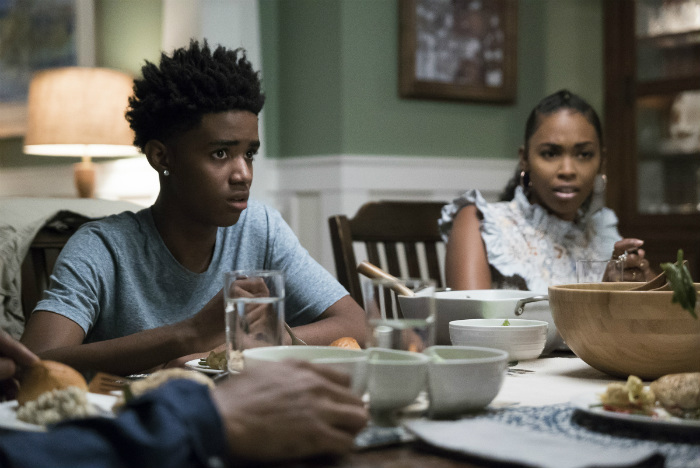 What did you think about ‘Black Lightning’ 2×02 ‘Black Jesus Blues’?